Shoto, a leading integration service provider of green energy storage in the era of big data.Using cutting-edge energy technology,with our customers around the world,shares a green world. We actively explore,and discover a new world with ever-growing energy.For Telecom Industry,Shoto has a complete series of energy storage solutions, and provides solid green energy security.For Power Industry,we are becoming a core hub that creates future smart grid networks.For Transportation Industry,Shoto is supplying new, clean and high-efficiency power energy,and offers infinite assistance to social development,and makes green travel possible.In Recycling Industry, Shoto firstly constructs the recycling industry chains for lead acid battery,which makes energy to be recyclable and renewable,and reduces resource loss,and recovers healthy earth. 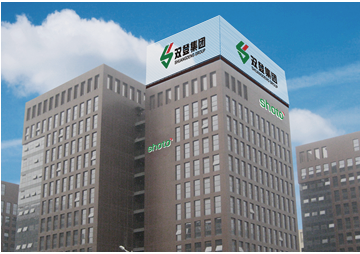 We pursue perfection,and create an enterprise with strong force for sustainable development;Shoto is the only “National Eco-friendly Enterprise” industry-wide, “National Key High-tech Industry Group”, one of “China Top 100 Electronic Information Enterprises” and one of “World Top 500 New Energy Enterprises”. 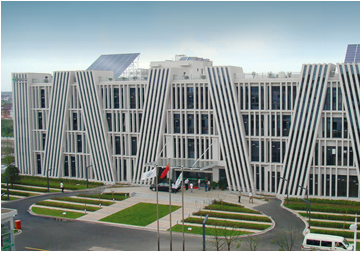 We bring together global experts in this industry, and cooperate with universities and institutes,and develop state-of-the-art energy storage systems with our customers worldwide.Through advanced energy development research center, academician work station, post-doctoral research station, national enterprise technical center and Nanjing Technological Development Research Institute, Shoto has undertaken some 100 research projects of the State 863 Program over the years, developing prospective world high-end new energy projects. We make use of the Internet platform, big data and cloud storage to pursue perfect service to our customers.Taking up the largest market share among domestic mainstream telecom operators for years, Shoto has further acquired licensed access to dozens of European and American countries and sold products in some 127 countries and regions across the five continents. To Store Big Love and Green Energy, Shoto has been practicing the idea of “new energy, recycling and high-tech”, focusing on the management of design and development, green procurement, system management, recycling, energy conservation and emission reduction, so as to Create Green Development Pattern for Industry and Green Lifestyle for Human, Store Green Power for Future! Dynamic and innovative, with great kindness and one heart. Shoto, a leading integration service provider of green energy storage in the era of big data.Using cutting-edge energy technology,with our customers around the world,shares a green world.We actively explore,and discover a new world with ever-growing energy.We pursue perfection,and create an enterprise with strong force for sustainable development.We bring together global experts in this industry, and cooperate with universities and institutes,and develop state-of-the-art energy storage systems with our customers worldwide.We make use of the Internet platform, big data and cloud storage to pursue perfect service to our customers. 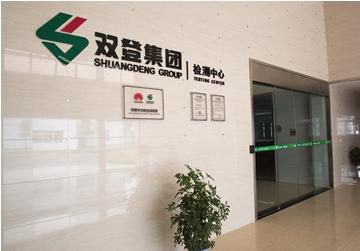 Rugao Tianpeng Metallurgy Co., Ltd.
Rugao tianpeng metallurgy co in response to national advocacy resource recycling-oriented scientific and technological enterprises, is wholly owned subsidiary of shuangdeng group. Company is located in Rugao Harbour economic development zone, fine chemical industry Park, the factory covers an area of 35 acres, plant construction area of nearly 20,000 square meters green area of nearly 3000 square meters. Company of used lead-acid batteries as the main raw material, using high-temperature reduction of secondary lead production. To dispose of used lead-acid batteries each year and 100,000 tons of lead waste, producing 60,000 tons of refined lead regeneration. The company has invested more than 4.6 million dollars in environmental protection equipment, set up the complete removal of sulphur, dust filtration system to ensure discharge. Hubei Runyang New Energy Co., Ltd.
Hubei run Yang new energy limited is a company specializing in chemical power sources and new energy products research, development, manufacture and marketing of high-tech enterprises. Founded in 2008, covers an area of 450 acres and employs nearly 500 people. Jiangsu Front New Energy Co., Ltd.
Jiangsu Front New Energy Co., Ltd was founded in 2006, is a high-tech enterprise with independent intellectual property rights and core technology, and engaged in lithium ion battery and its system research, development, design, production and management. The products include communication lithium ion battery and system, powered-vehicle lithium ion battery module and management system, and energy-storage lithium ion battery module and system. Beijing Huifeng Juneng Technology Co., Ltd.
Beijing Huifeng energy storage technology limited, committed to integrating new energy systems, efficient electricity storage technologies, micro-grid technology and application and development of green energy technologies, electric power, telecommunications, petroleum, remote power supply provides a wide range of power system solution. The company focused on energy storage power systems product development, production, sales and recycling, is a national key high-tech industry group, built the Academician workstation, post-doctoral and national engineering and Technology Center, has undertaken a number of national 863 project.